Scotland is a fantastic land with a unique history. Maybe that's why it has given rise to the very special breeds of Scottish dogs, and we want to talk to you about some of the most outstanding. Keep reading and discover its history. Without a doubt, the Scottish terrier -in the image that heads this article- is one of the most recognizable breeds, and has the honor of belonging to the group of the first terriers originating in Scotland. Initially they were employed to dig in the earth in search of badgers or other animals. These Scottish dogs are small, but with incredible robustness and musculature. At the corporal level, its long snout and strong jaw stand out. They usually have a hard coat black color, although there are also brindle or light straw color copies. Despite its size, the Scottish terrier has a temper. They may seem distant and independent with strangers, but it has been shown that dogs are very close and faithful in their inner circle. 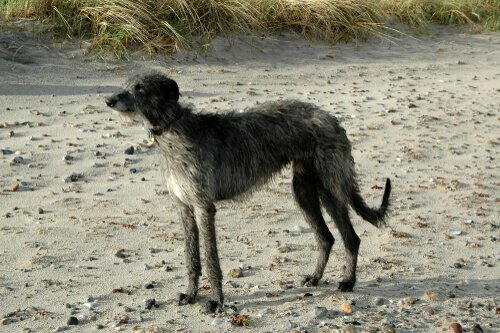 This breed of Dog has its origin on the Isle of Skye. Bears a strong kinship with the Scottish terrier , but it was not until 1870 when it was concluded that it was two different races. 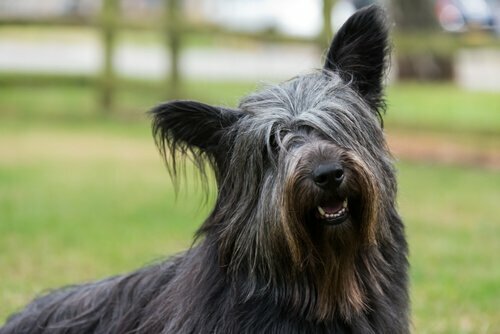 As you can see, the skye terrier stands out for its elongated body , that ends in short and muscular extremities. His strong snout and sometimes hanging ears are another sign of identity. It has a long coat composed of two layers, one external and one internal tougher and softer. His temperament is very similar to the Scottish terrier. Its use as a hunting dog makes it a relatively active animal , and you need to stay busy and walks regularly. If we take care of it, it can live up to 11 years. This breed of Scottish dogs belongs to the setter family, which includes the English setter and the Irish setter. Its origin dates back to seventeenth-century Scotland. 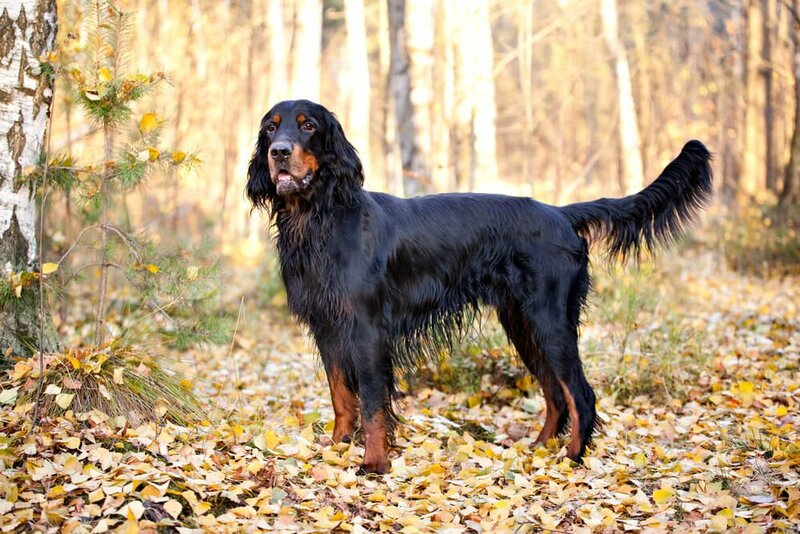 These dogs have a thick fur and black, accompanied by brown spots on its legs, snout and eyes. They are large animals, with a height of about 60 centimeters and a weight that varies between 25 and 30 kilos. The Scottish setter is a dog used to hunting, with a great sense of smell and very resistant. It is suitable as a pet, but keep in mind that needs large spaces and exercise regularly , as it is very active. Finally, we talk about an animal originating in the Highlands. Its magnificent view and its speed made it a ideal breed for deer and deer hunting. This is a somewhat special greyhound, since it has a characteristic and tousled fur, inheritance of its adaptation to the climatic conditions of high mountain. It emphasizes its slender body and its arched back. They can measure up to 80 centimeters tall, which gives an idea of ​​its size. They are good pets, as long as they remain in optimal physical condition. They are not suitable for small homes, as they need a lot of space.